Want to give your brain a workout? In the following are top 8 best cool math games of various genres in which you need to solve puzzles to complete the ultimate goal. Have you played Fireboy and Watergirl 5yet? 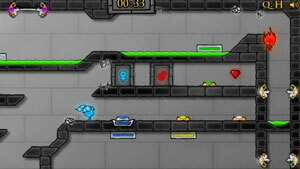 Developed by Oslo Albet, this is a cool math adventure platforming puzzler coming with a twist. In the fifth installment, you need to help two main characters escape from a crystal temple full of traps and obstacles. In order to complete the journey, both Fireboy and Watergirl must work together to solve each level. As I mentioned, the new twist here is ? the characters enable to jump over platforms using the portals. While figuring a way out, it’s necessary to collect all the diamonds in all stages. Navigate the Fireboy with arrow keys and Watergirl with WASD. You all are familiar with the penguin in Learn to Fly Series, right? Now he is back in Learn to Fly 3, the third installment of Light Bringer Games. 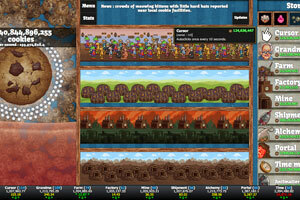 This indie strategy simulation game has an easy gameplay ? helping the penguin fly high up to space. With more upgrades equipped, you will start from building a spaceship from scratch. Keep doing as many flying experiments as possible and earn funds which later can be used to invest a bigger, more powerful spaceship. 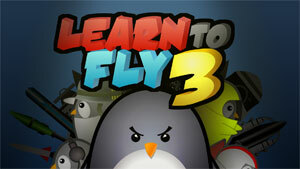 Recently, Learn to Fly 3 has been updated ? a new body item has been added. The human has a great desire for Mars. And, this time, in Into Space 2, you will get a chance discovering that red hot yet attractive planet. 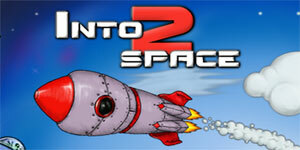 Into Space 2 is a game in which you will assist a scientist in doing an incredible experiment ? launching his rocket to Mars. Once it takes off, your job is to guide as well as navigate it in the right direction. While the rocket is flying, you should gather fuel and other pickups to avoid falling off; at the same time, do not collide with obstacles or the machine will be damaged. In case you run out of fuel and fall back to the ground, you will be given money to spend on upgrades. Clicking has never been so interesting until the appearance of Cookie Monster Cookie Clicker (early August, 2013). 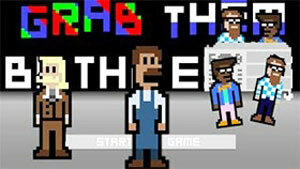 This free game is the result of Orteil, an avant-garde game developer. When playing, you are asked to click on a giant cookie on the left to produce as many cookies as possible. The more cookies you get the more upgrades you can purchase later. It’s essential to buy the upgrade as this means you give powerful boosts to your cookie production. Surprisingly, more than 28 billion cookies are produced in one second once you have all the upgrades. No specific goal requirement in Cookie Clicker! 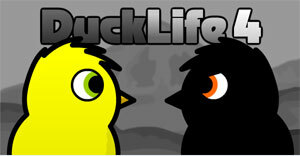 Let’s see how good you are when it comes to training ducks in Duck Life 4, the fourquel of the Wix Games training series. This game is now available on both Google Play and App Store?Download it from today and enjoy right on your phone! If you have played previous games, you will get familiar with the gameplay in this series. Each player has a duck which his stats are displayed on the screen to show how good it is at different activities. And, what is your goal? That’s ? train the duck until he can take part in the final competition for the victory. After the hit Sugar Sugar, Bart Bonte has returned with a fascinating point-and-click game called Cat in Japan. This time, the game takes place in Japan and the Bonte cat will surely have an amazing adventure there. As you may know, the rising sun land is known for its delicious raw fish. With a cat cannot stop dreaming about that, the best solution is to satisfy him with fresh fish sushi rolls. 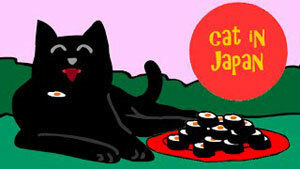 Your objective is to solve all the puzzles in each level in order to find all the sushi for the cat. Can you? Known as one of top 10 most plays cool math games, Grab Them by the Eyes is an unusual game of Terry Cavanagh, an indie game developer. 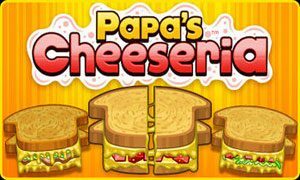 In this turn-based strategy game, you will portray a burger seller who is in a fierce competition with two people who have just entered the business. Arguing brings you to nowhere; that’s why you need to take action. Within a week, you have to serve more burgers then your competitors. How to attract the customers? It’s important to design a shiny sign with a catchy slogan. Try to earn money and spend all at the sign shop! 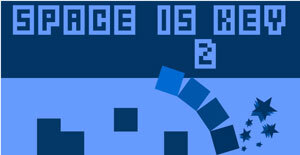 The last game in this list is Space is Key 2 ? a one-button arcade game of Chris Jeffrey. All you need to do is to keep bouncing and jumping your way through a series of 20 levels totally. For the control, there is a little square that moves forward automatically; and your primary task is to make it leap over obstacles. In each stage, you must get through three floors; however, if you fail at any stage, then you are asked to restart that particular spot. Overall, these cool math games are great options to improve your thinking and problem-solving skills. Give all of them a try!